There's no such thing as Roasted Chicken Night or Big Hearty Salad Night (and maybe there should be...), but thank the Powers That Be someone has deemed tacos special. So special, they have their very own night -- which brings us to Dinner Tonight. There's something about putting spicy, meat-y filling into a tortilla's embrace that just makes everything better -- especially if that filling is infused with coconut milk, pineapple and plenty of lime juice. Pair these folded beauties with hybrid guacamole quinoa and you've got a meal that can make any night a festive night, and it'll be on the table (and in your mouth) before you're done with your first margarita. 1/2 jalapeño pepper, seeded and minced (add seeds if you like more spice). You probably have garlic, cumin, chili powder, oregano, cayenne pepper and paprika in your pantry. If not, be sure to pick those up, too. 1. In a large skillet, heat one tablespoon of olive oil over medium heat. Add half of the red onion, finely chopped, onion, one clove of garlic, thinly sliced, and a large pinch of salt and pepper; cook, stirring occasionally, until they’ve softened, about 3 to 5 minutes. Push the onion and garlic to one side of the pan, and add 1 ½ teaspoons cumin, 1 teaspoon paprika, 1 teaspoon oregano, and cayenne to taste. Let sizzle in the pan until they’re toasted and fragrant, about 1 minute, then stir well until the onions and garlic are evenly coated with the spices. 2. Add the ground pork to the pan. Cook over medium-high heat, breaking up any large chunks of pork and stirring occasionally, until the pork is just cooked through. Season with salt to taste. Remove any excess fat from the pan. Add the coconut milk; simmer for about 5 minutes until thickened. 3. Meanwhile, in a medium bowl, mash together 1 avocado, the juice from 1 lime, and 1/4 teaspoon kosher salt. Add one garlic clove -- crushed with a garlic press or mashed -- 1/4 teaspoon cumin, and 1/2 teaspoon cayenne pepper. Finally, add the quinoa, tomato, jalapeno, cilantro, and the rest of the red onion, then toss to combine well. 4. Back to the stove: stir the black beans, pineapple juice and 1 tablespoon lime juice into the pork mixture and cook for an additional minute or two. Taste and add more lime juice if needed. Adjust the seasoning to taste. 5. Using a slotted spoon, divide the ground pork equally among lightly warmed flour tortillas. 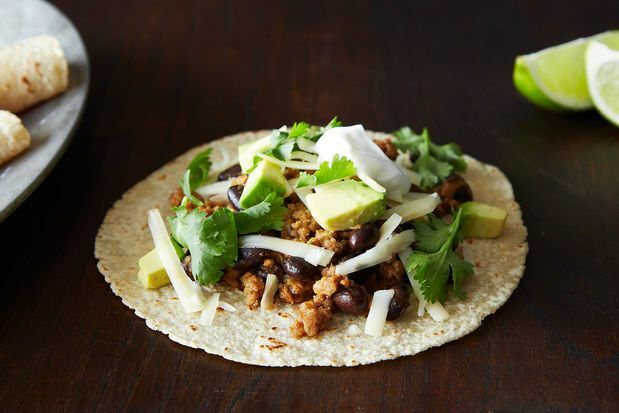 Serve with lots of avocado and other toppings of your choice, as well as a generous portion of Guacamole Quinoa. 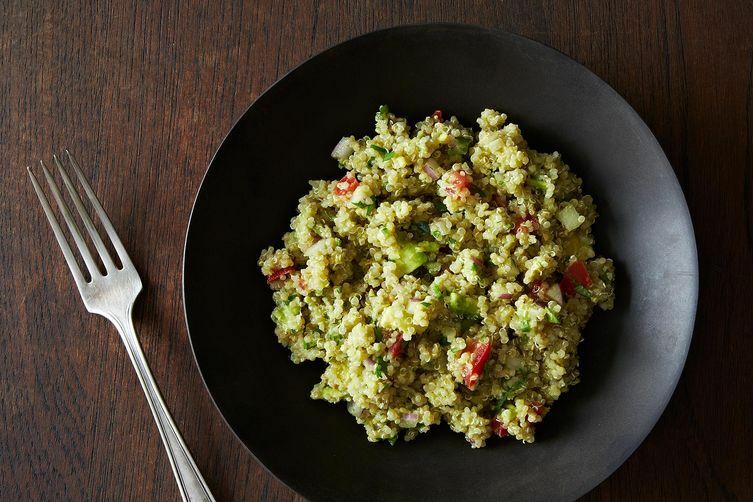 Tip: The Guacamole Quinoa will become more guacamole-like the next day, as the quinoa breaks down. Pair the leftovers with some chips and salsa! Thank you for sharing this! I only took advantage of the meaty part - the first 2 steps, using tilapia instead of pork. Amazing.